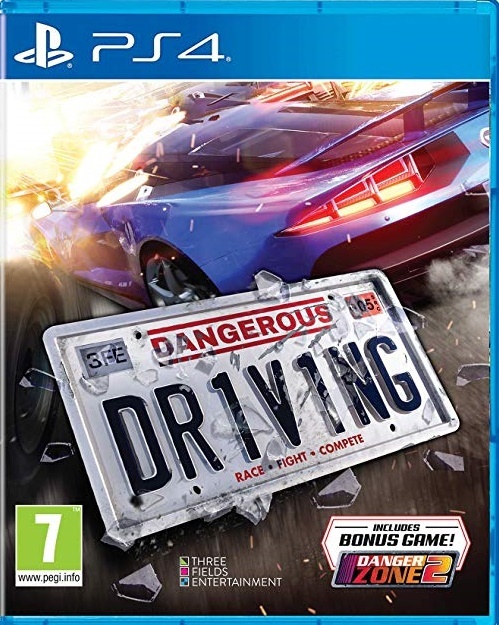 Dangerous Driving is a game about real driving. The sort of driving you want to do when no one else is looking. The sort of driving you'd love to do if only everyone else would get OUT OF THE DAMN WAY! ; This game gives you the chance to live out that fantasy. To floor it in everyday cars, at high speeds, weaving in and out of traffic and slamming the other cars right off the road. This is a game built in the spirit of the classic arcade racing games of the 80's and 90's. It's about speed, driving skill and beautiful powerslides around epic corners. It's also about all out aggression, instant retaliation and sweet, sweet revenge. The more dangerously you drive, the faster you can go! Bump, shunt, slam, scratch and scrape your way around 30 different courses set across seven different locations. Takedown your opponent in the adrenaline-fueled Takedown Races, chain your way to perfection in Heatwave, or rule every road in Road Rage. Switch on your Sirens and apprehend Wanted Suspects in Pursuit Mode or be the last car standing in Eliminator. Players race against remorseless AI drivers in 8 different event types, unlocking new deadly cars and aggressive abilities as they progress. Includes a BONUS game: Danger Zone 2: Danger Zone 2 takes the crash testing action out of the Test Area and onto real public roads. A high-speed driving game featuring speed, traffic and crashes, Danger Zone 2 lets players loose onto the Freeways of the USA, the Motorways of the UK and the Autovias of Spain. Drive at high speed on real life roads crowded with everyday traffic - Shunt, Slam, Flip, Roll and Jacknife as many vehicles as possible. Create chaos across 23 of the world's most notorious accident blackspots set in 17 unique locations around the world. Choose from 8 vehicles to drive and smash: including a Sedentary Sedan, a Chaotic Coupe, a Really Crazy Taxi, a Euro Truck and a Formula One car!.